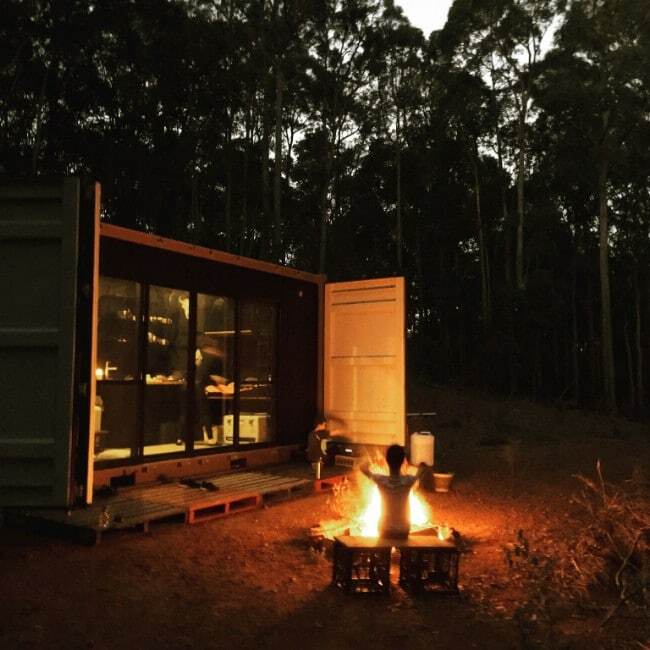 A lot of people dream of building a tiny house in order to save money and embrace a clutter-free, minimalist lifestyle which emphasizes only the essentials. But how many actually achieve that dream? I commonly see tiny houses go for $40,000 or more, sometimes closer to $60,000 or even topping a hundred grand. 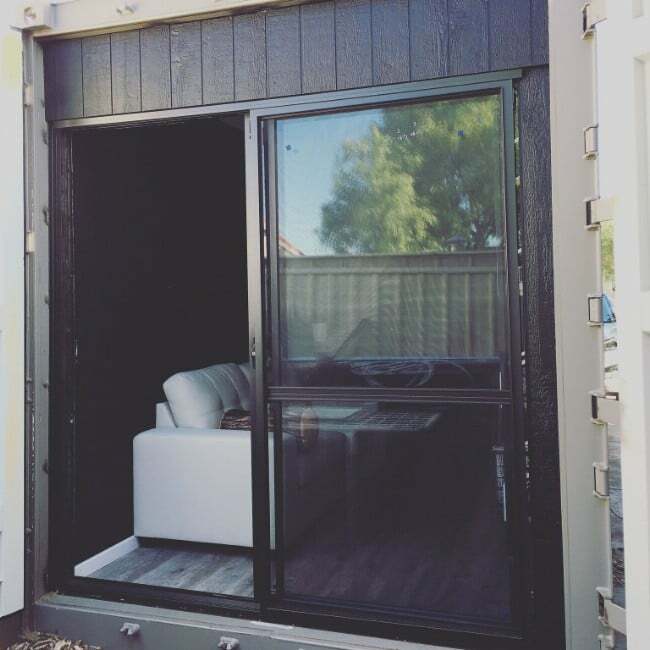 So I was really blown away to discover this gorgeous minimalist tiny house which was constructed for less than $15,000! Petar Ceklic was inspired by following Derek and Hannah on YouTube (Handeeman), and got to thinking that he would like to build a tiny house of his own. 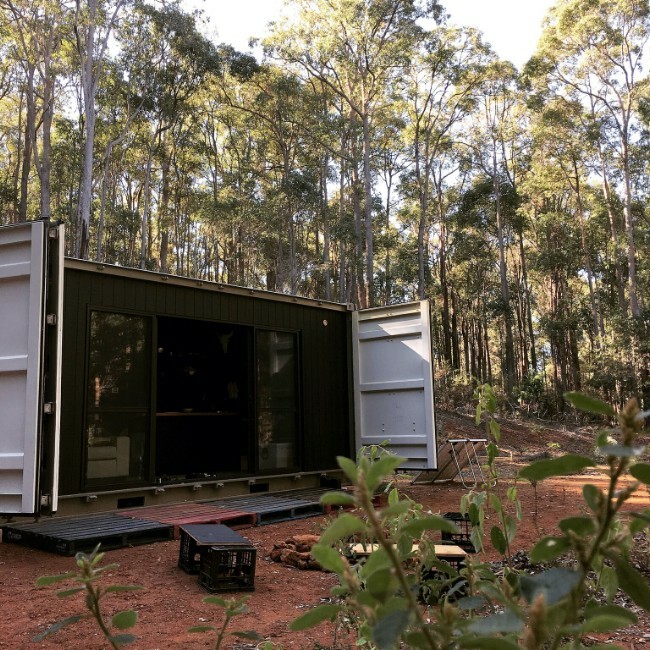 He didn’t feel comfortable trying to build a wood frame from scratch however, so he decided on a clever alternative: a shipping container. Recruiting his Dad for his welding skills as well as a few other family members and friends to help out, he was able to make his dream come true. 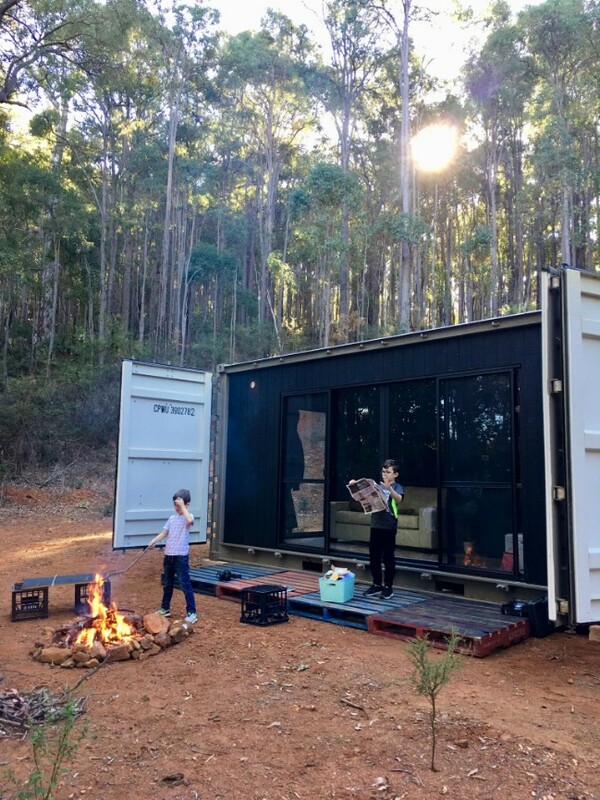 The cube container measures 20 feet in height and opens on the side. 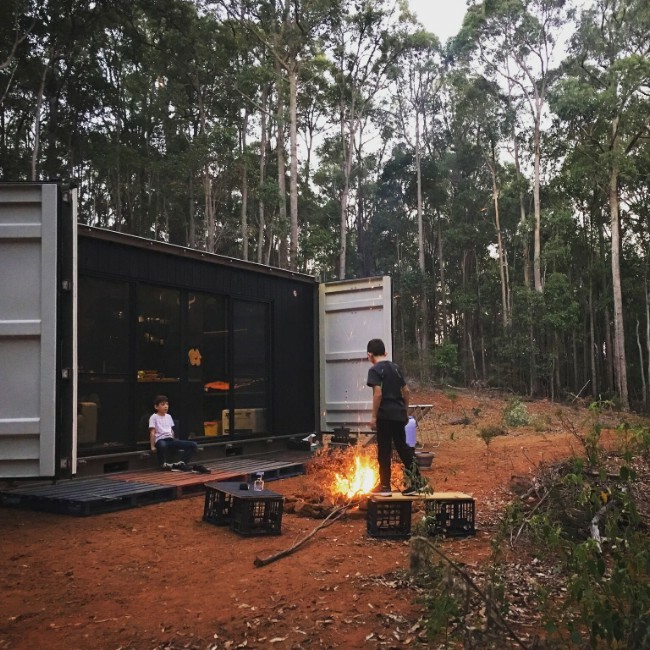 Petar made no attempt to hide the nature of the shipping container; instead, he used its minimalist appeal as a creative foundation for the interior aesthetic. There is room to sleep Petar’s family of four, including two young children, who have their own bunk beds. The sofa in the house can be converted into a queen-size bed. 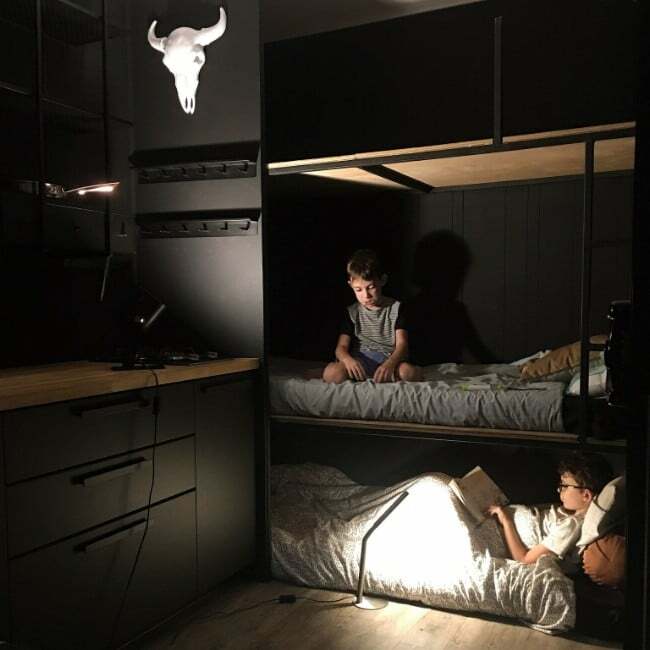 This setup eliminates the need for a loft, and provides each family member with plenty of space. 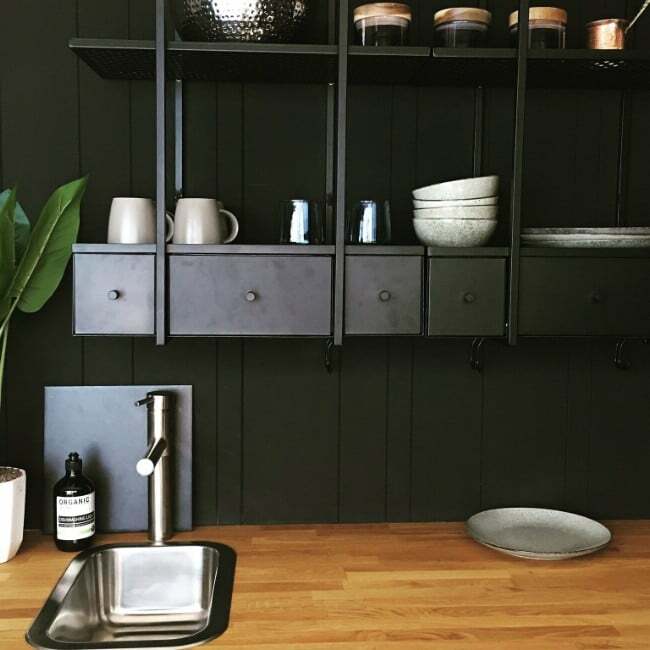 The Ikea Kungsbacka kitchen features a countertop made of solid wood. The sink is small to conserve space, but that provides more room for the counter. An open set of shelves and drawers above the counter provide ample storage for cutlery and cookware. The black walls are a really fascinating design choice. I’ve seen lots of tiny houses which go with an all-white color scheme to provide a simple, clutter-free, “open” feeling. The black does this just as well, and has a refined, elegant look and feel. I tend to prefer darker colors, so just for personal reasons, I really dig the aesthetic here. The minimal decorative elements really stand out against the backdrop. The home’s flooring consists of self-adhesive vinyl tiles. Reconstituted wood sheets were used for the internal and external cladding, and the home is insulated using closed cell spray foam. 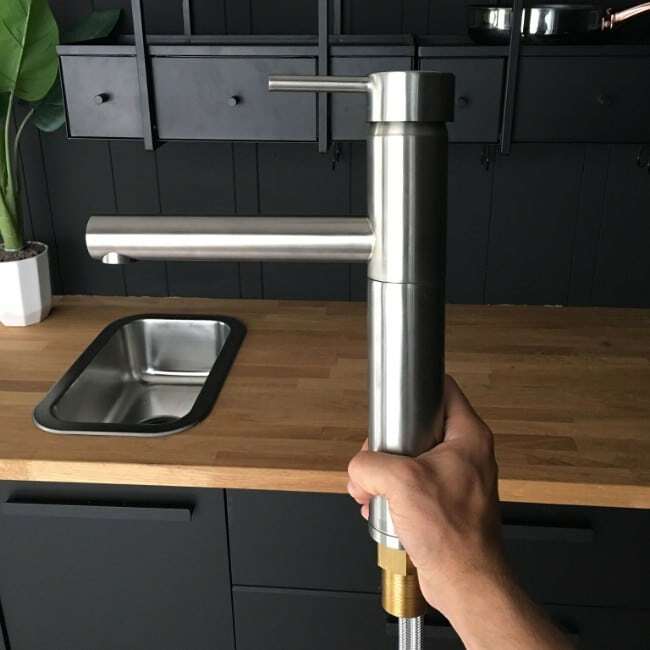 A palette water container is used as a rainwater collection system, and the home is outfitted with a 300w solar panel and 110ah battery for off-the-grid functionality. There is also a compost toilet. 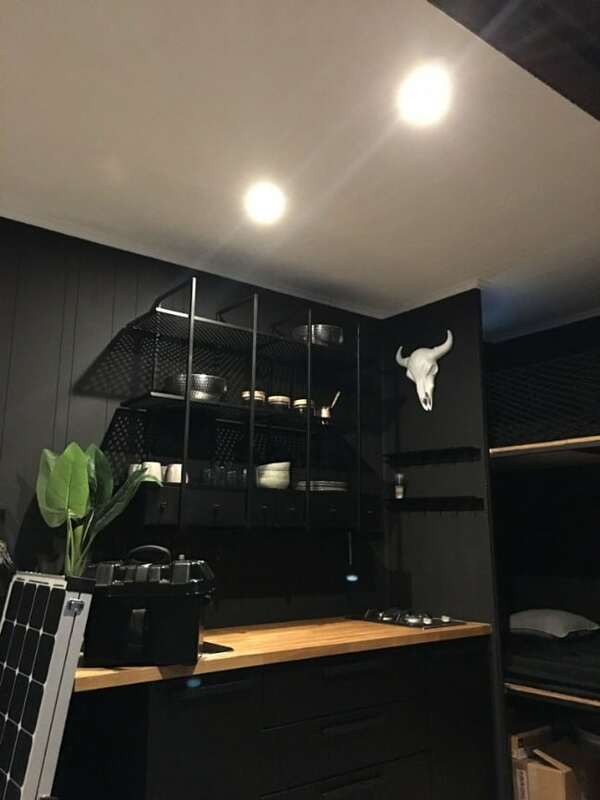 While Petar set an initial budget of $15,000, he actually came in under that—quite impressive considering that a lot of tiny houses are built and sold for triple that amount or more! He only worked on the house on the weekends, so it took just under a year to complete. Surrounded by 80 acres of forest, it is an amazing accomplishment in terms of budgeting, resourcefulness, and creativity. Petar has documented the entire journey on his YouTube channel and Instagram.